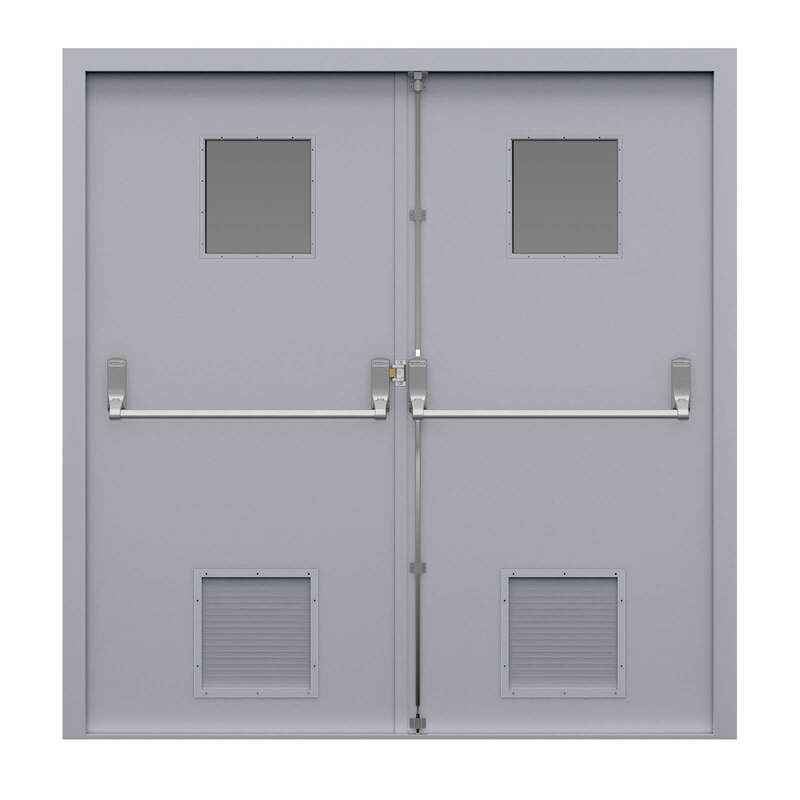 Our glazed double fire exit doors combine fire safety, security and vision. They are designed to transmit as much light as possible, through the anti-bandit security glass, which is fitted using anti-tamper vision frames. 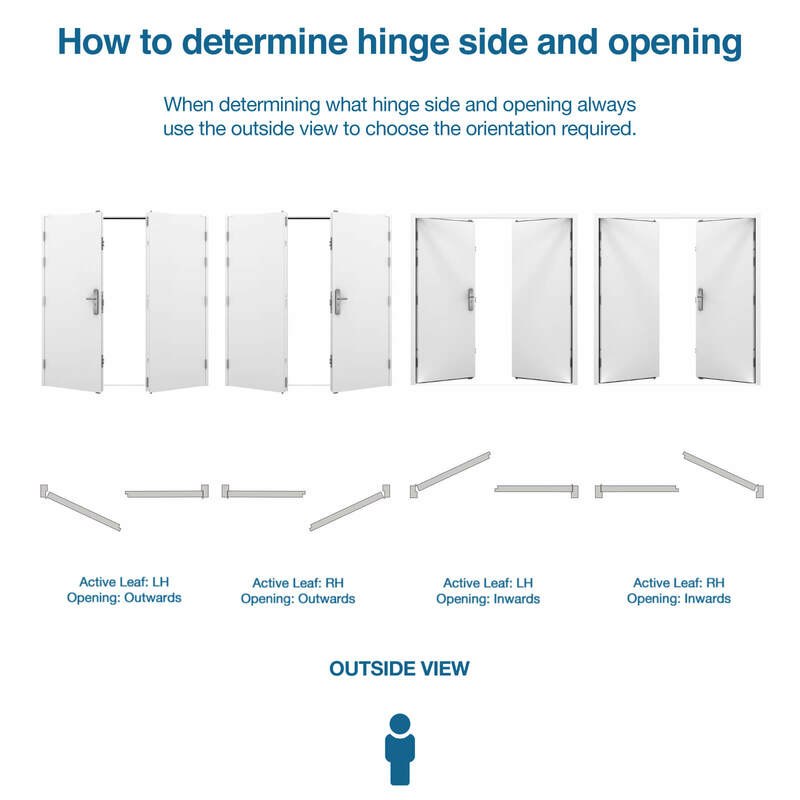 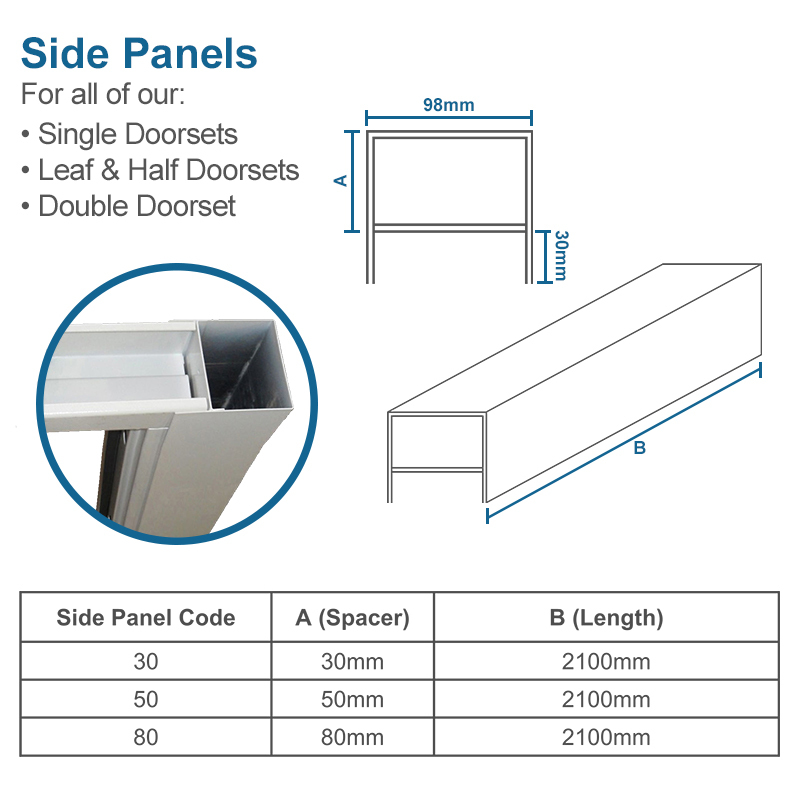 Choose from small window panels or fully glazed panels. 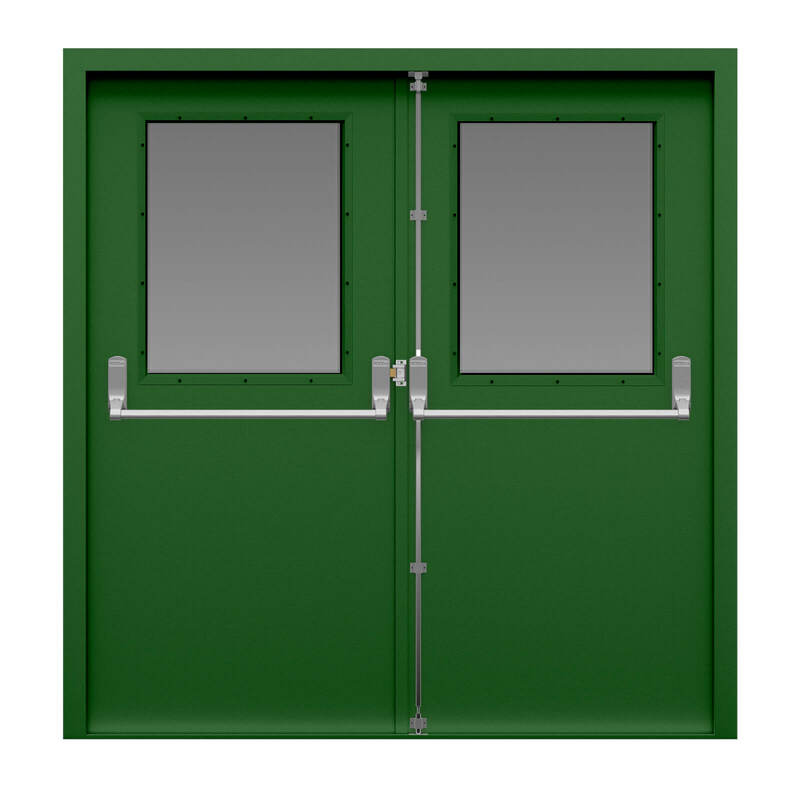 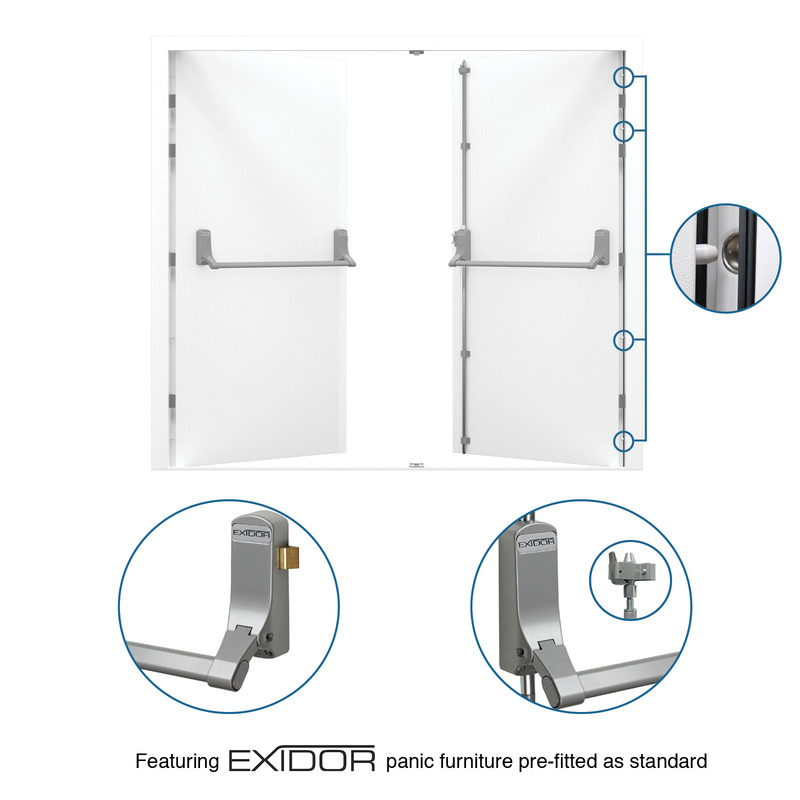 The doors are fitted with an Exidor 285 adjustable panic bar and are also available as a Single Glazed Fire Exit Door for smaller openings. 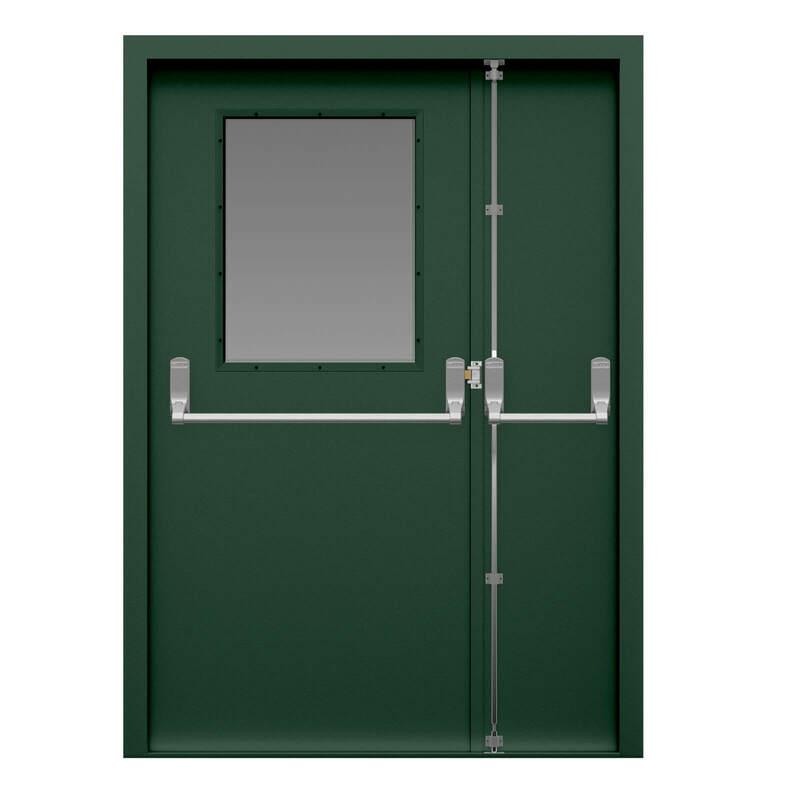 Manufactured from thicker gauge steel, featuring an extra hinge and a 2-point security push bar mechanism, our glazed security fire exit door is a great option for a more secure fire exit. 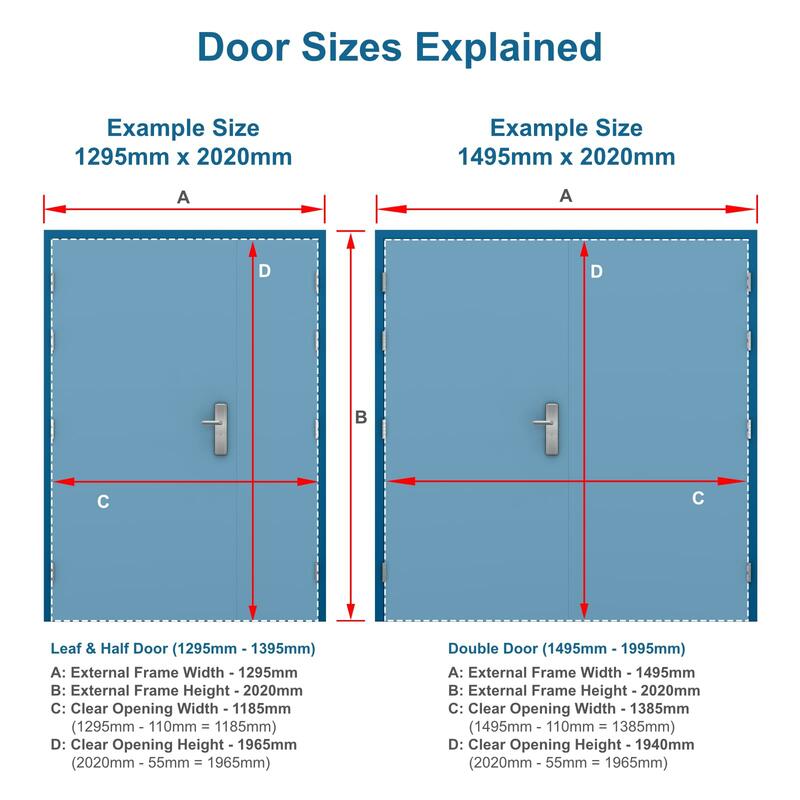 Our glazed double fire exit door fully complies with the Disability Discrimination Act by having a level threshold with an upstand of 12mm with chamfered edges. 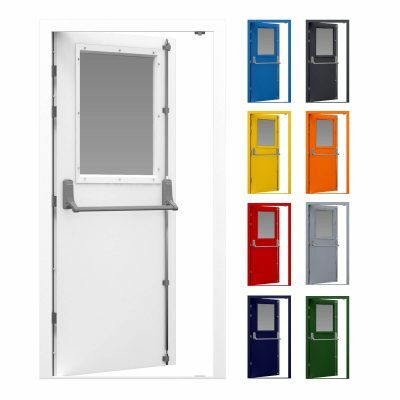 This fire exit door is secured with 4 stainless steel heavy duty lift-off hinges and 4 dog bolts and an Exidor 285 2-point security push bar with adjustable shoot bolts. 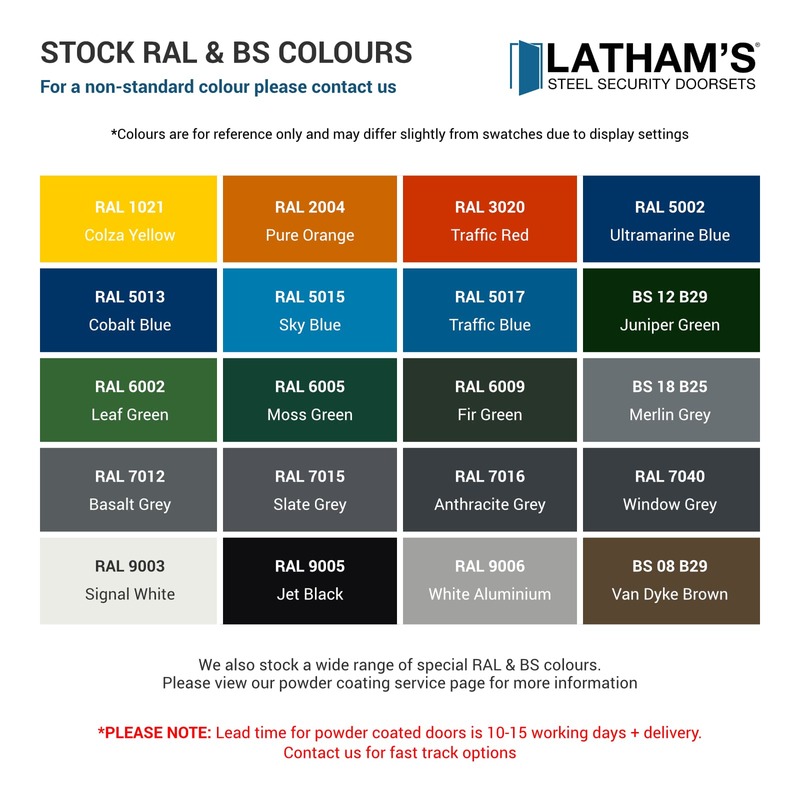 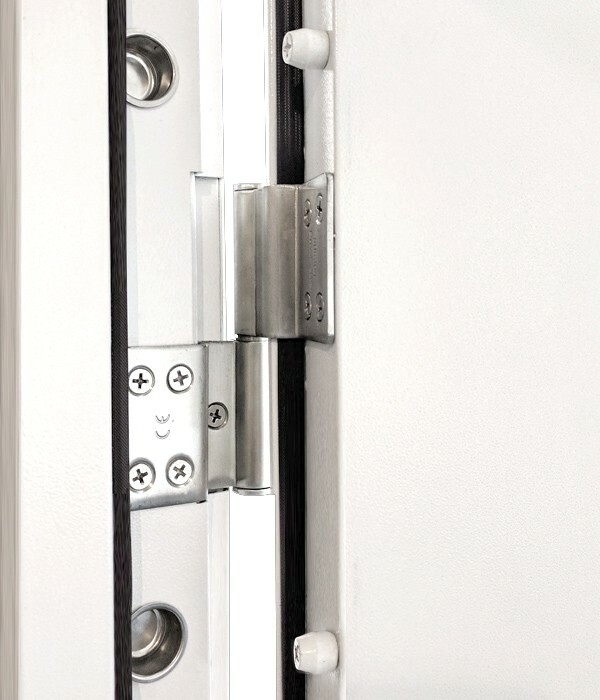 Our steel doors are fitted with Weather and Draught proof seals as standard, ensuring our doors last a long time, even when exposed to the elements. 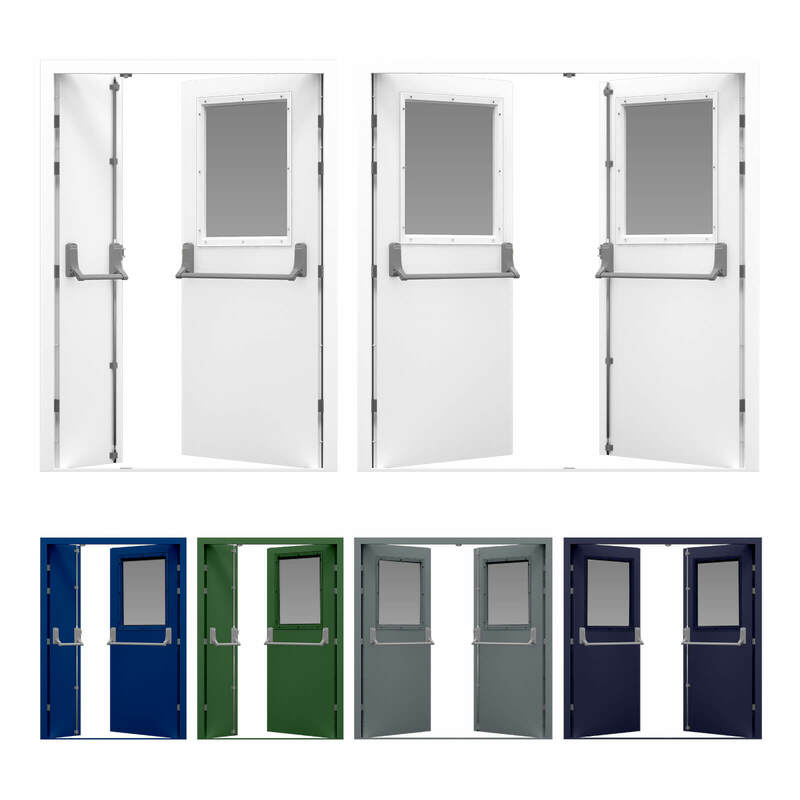 We fit our glazed panels with anti-tamper vision frames and the glass itself is high security anti-bandit glass. 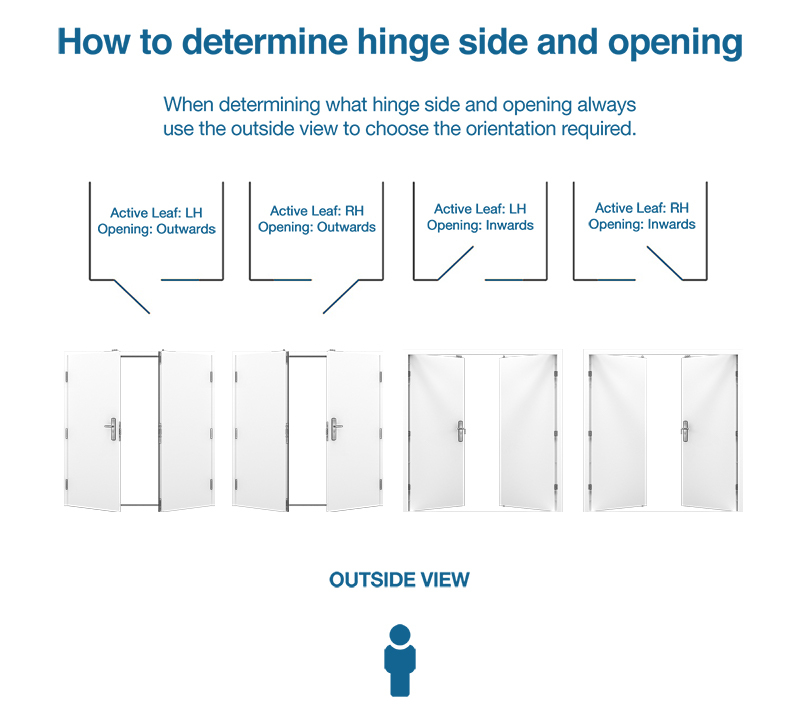 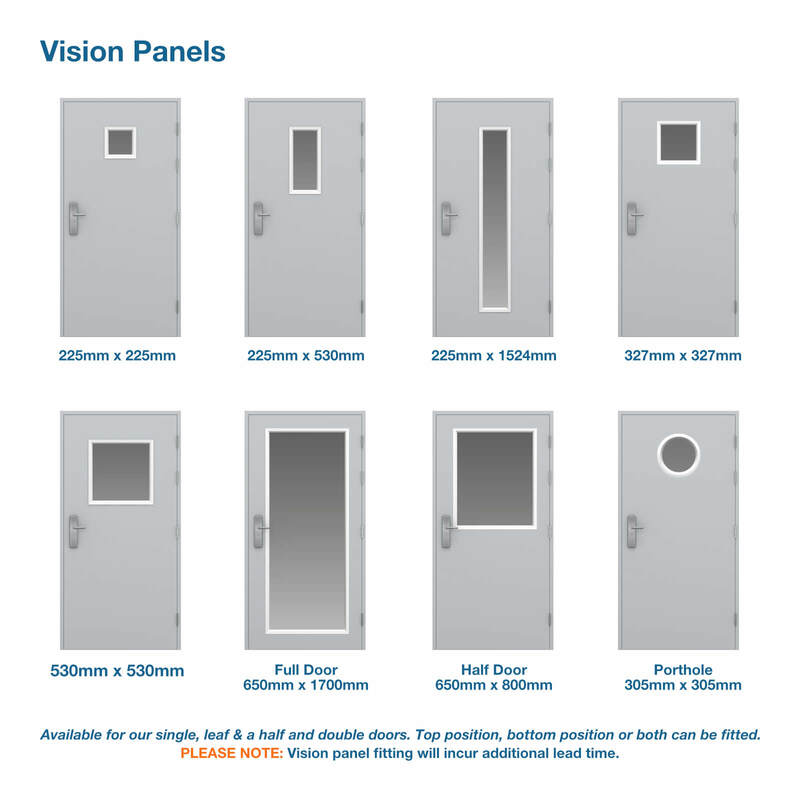 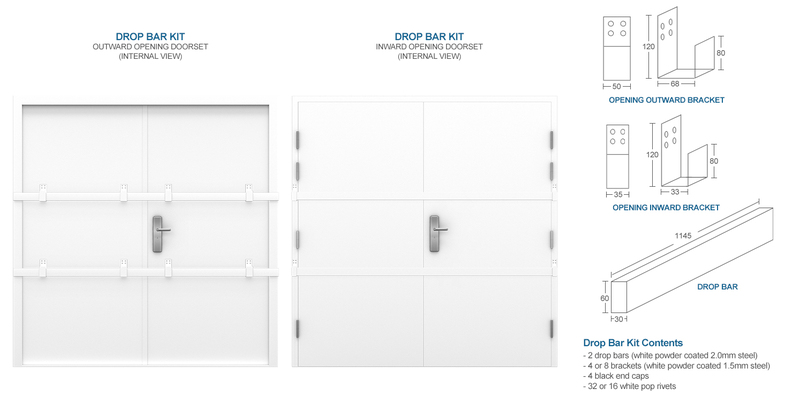 Our vision panels are designed to let in as much light as possible. 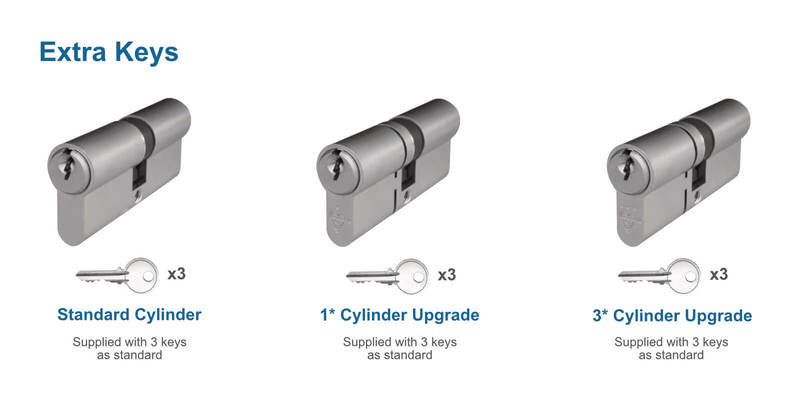 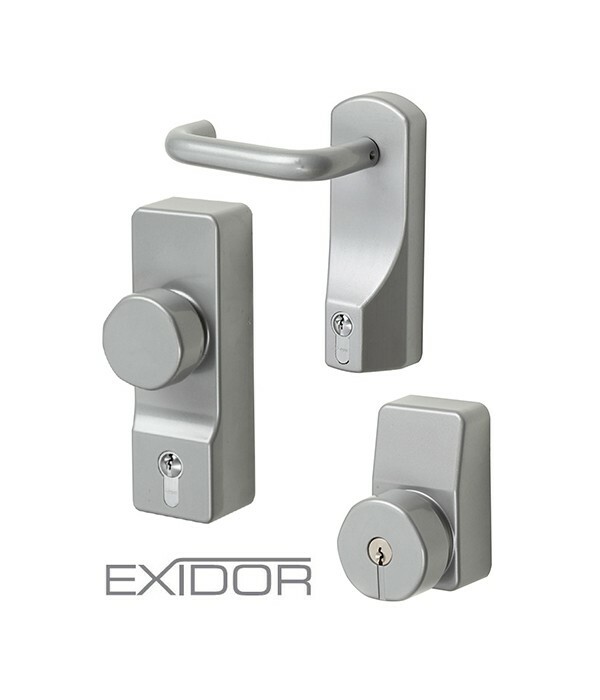 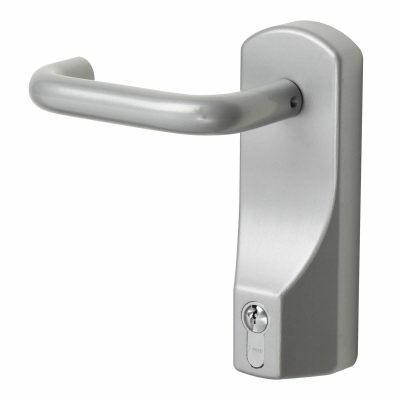 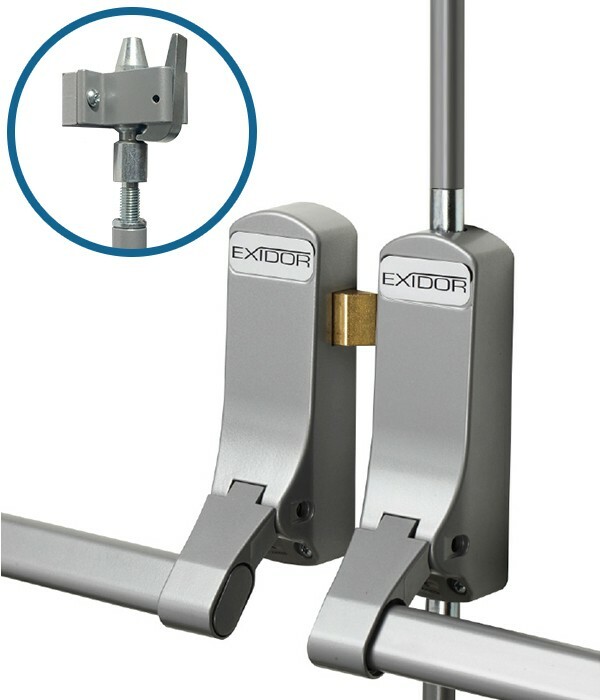 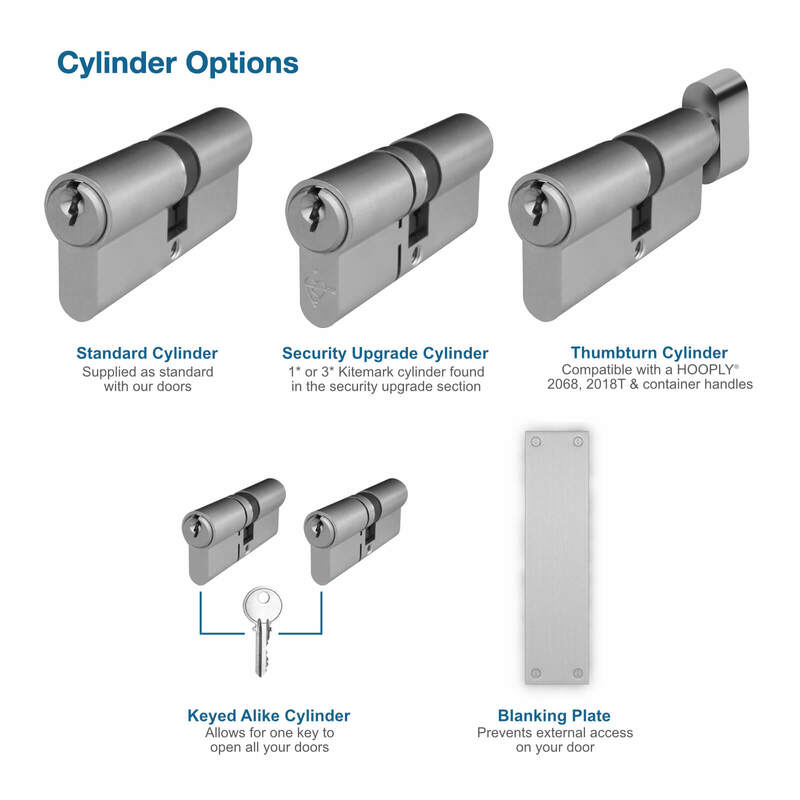 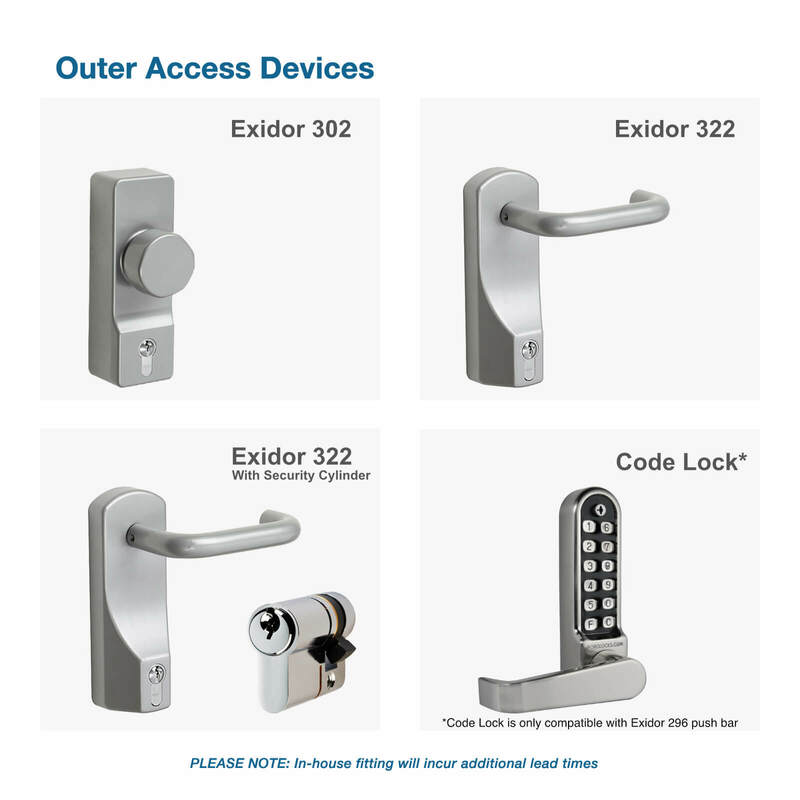 If you need to use your fire exit door as both an exit an entrance, we have a range of OAD handles and knobs available for outer access, including an Exidor code lock for maximum security. 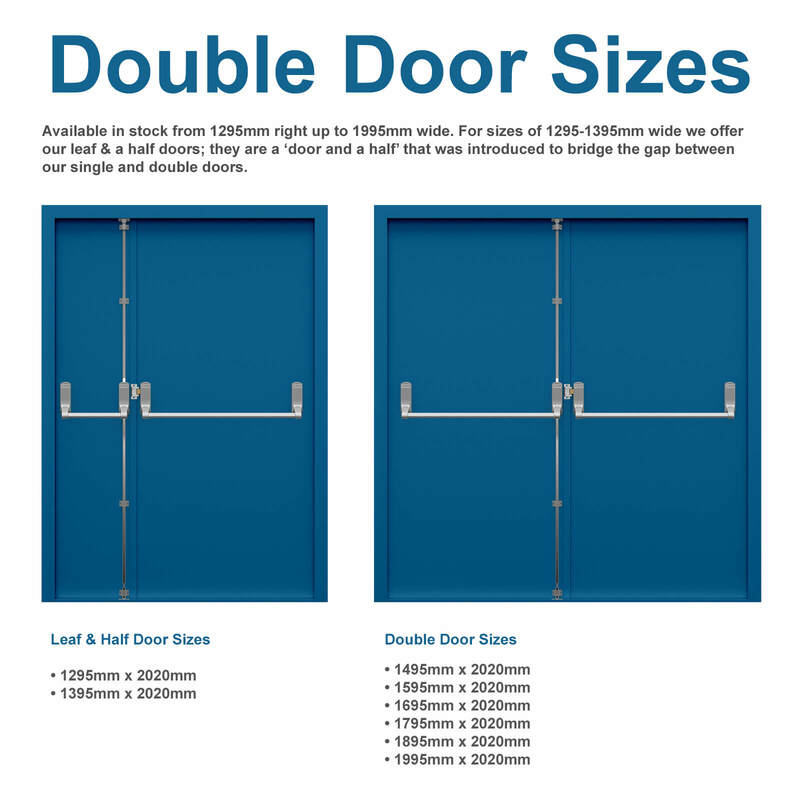 These are available from stock. 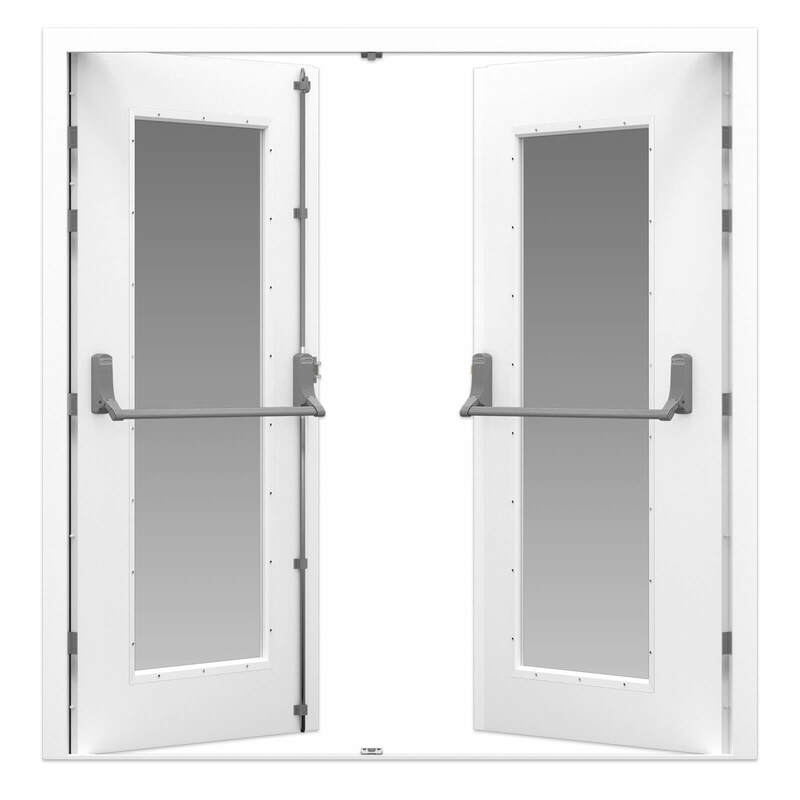 What glass is installed in the panels? 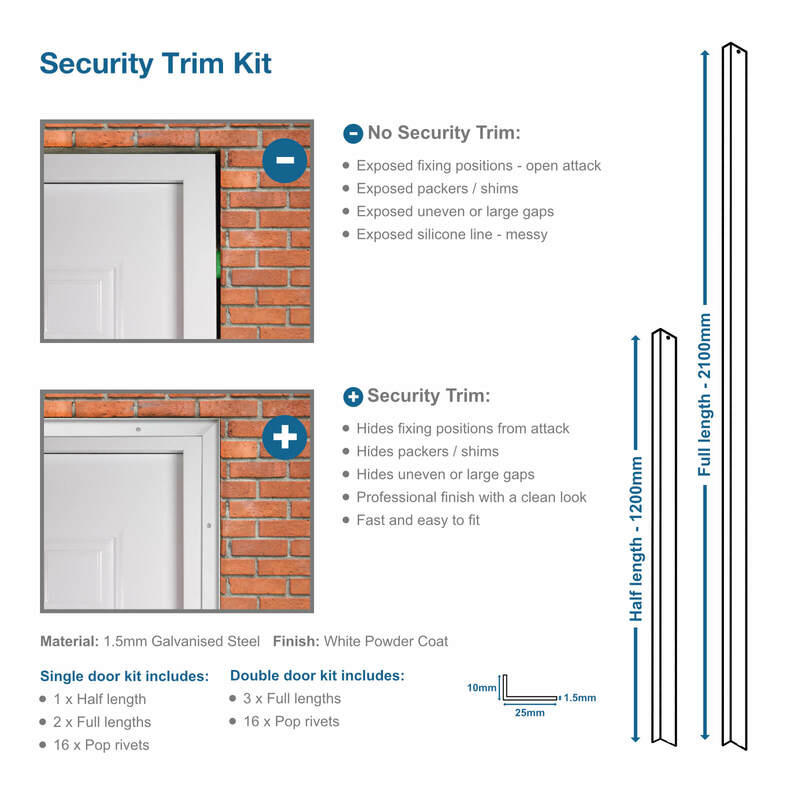 For security doors, we use 11.5mm anti-bandit security glass. 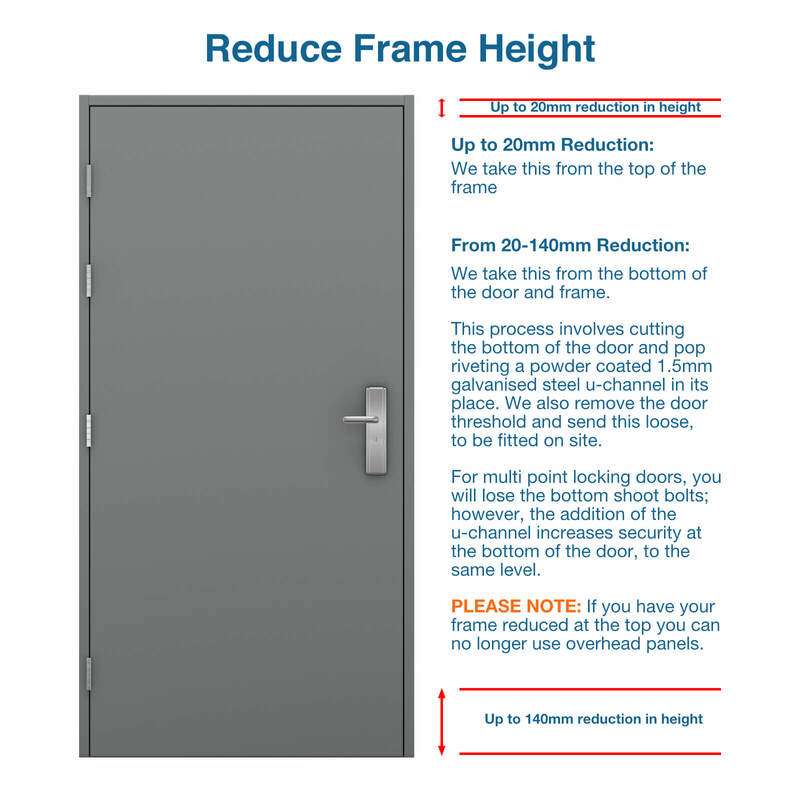 For high security (Ultra) doors, we use a double glazed unit, compromising of 11.5mm anti-bandit security glass and a 6.4mm laminate. 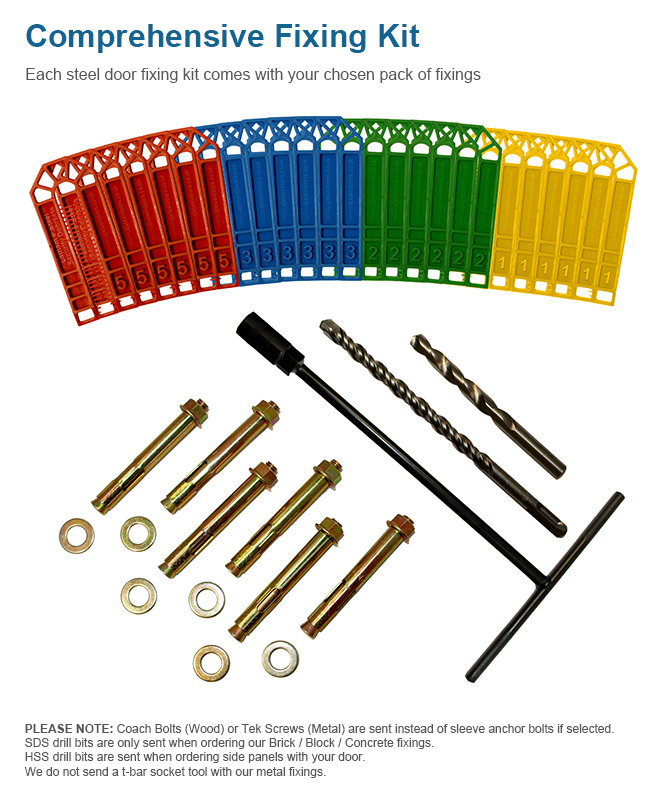 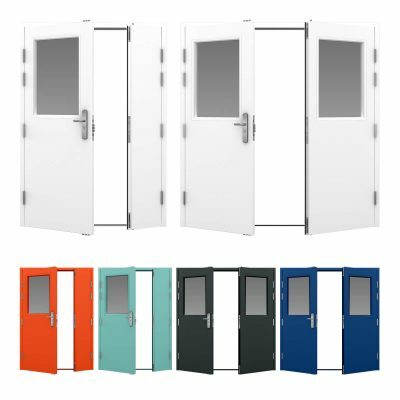 What can the glazed steel doors be used for? 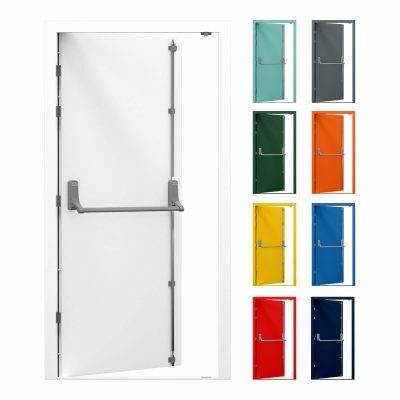 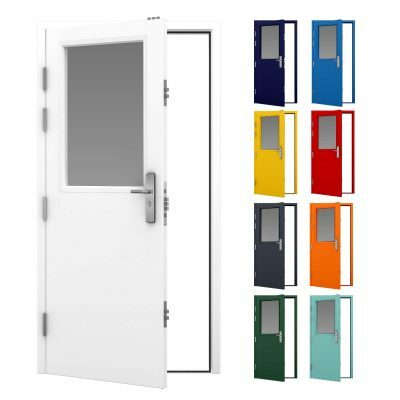 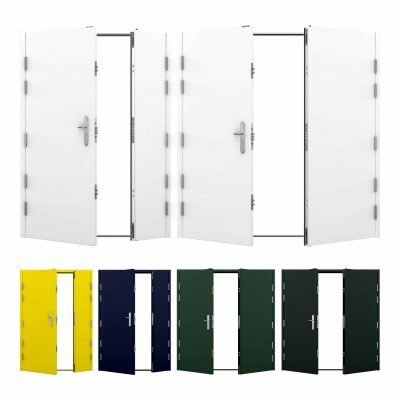 Our customers frequently use our glazed doors for residential and commercial applications, for example secure office interior doors. 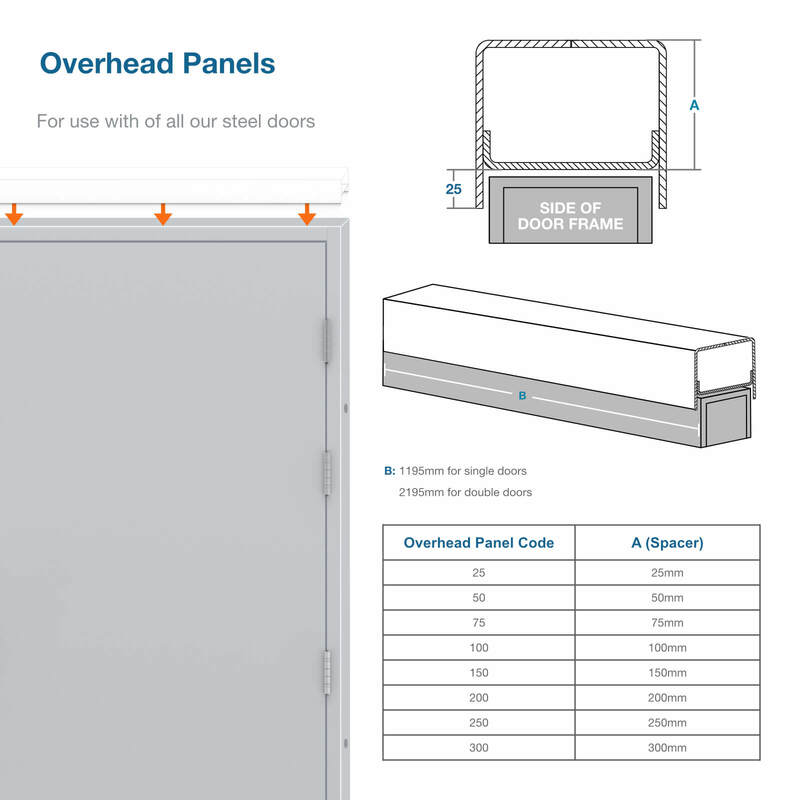 Lead times stated above are plus delivery. 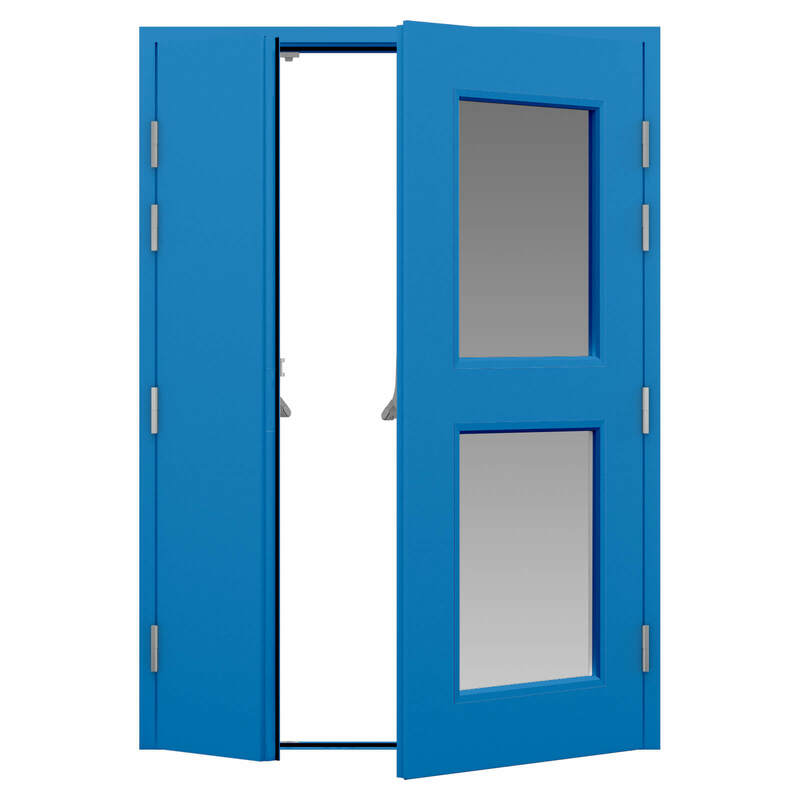 How many keys come with the glazed doors?